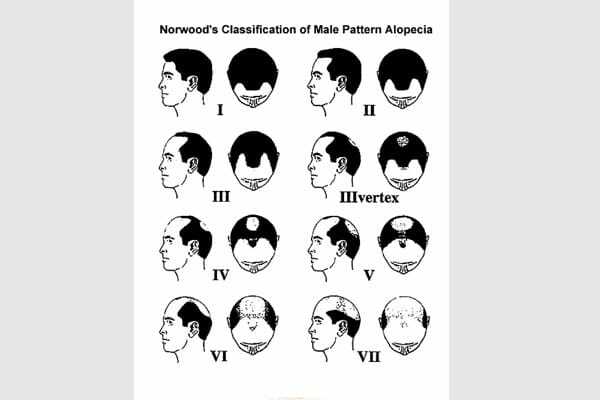 People who notice that their hair is falling out, or appearing in large amounts on their comb or brush should consult with a dermatologist. With a correct diagnosis, the cases of hair loss can be helped. A dermatologist will evaluate a patient’s hair-loss problem to find the cause so they can determine whether the problem will resolve on its own or a medical treatment is needed. About 90 percent of the hair is growing at any one time, and the growth phase lasts between two and six years. Ten percent of the hair is in a resting phase that lasts two or three months, and at the end of its resting stage the hair is shed. Scalp hair grows about one-half inch per month, but as people age their rate of hair growth slows. Most hair shedding is due to the normal hair cycle, and losing 50 to 100 hairs per day is expected and is no cause for alarm. Many men and women use chemical treatments on their hair, including dyes, tints, bleaches, straighteners, and permanent waves. 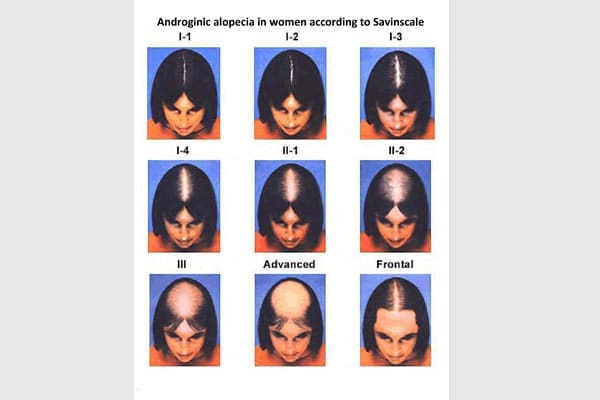 These treatments rarely damage the hair if they are done correctly. However, the hair can become weak and break if any of these chemicals are used too often. If hair becomes brittle from chemical treatments, it is best to stop until the hair grows out. Topical lotion applied to the scalp twice a day, which can be used by men and women. 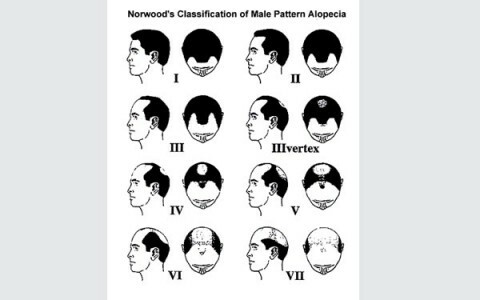 Illness, stress, and other factors can cause too many hairs to enter the resting (telogen) phase of the hair growth cycle, and it produces a dramatic increase in the amount of hair shed (effluvium), usually without bald patches. In many cases, telogen effluvium usually resolves in a few months on its own. Caused by fungal infection, tinea capitis is characterized by patches of scaling that can spread and result in broken hair, redness, swelling, and even oozing on the scalp. This contagious disease is most common in children, and oral medication will cure it. Children, and sometimes adults, will twist or pull their hair, brows, or lashes until they come out. Oftentimes this is just a bad habit that gets better when the harmful effects of the habit are explained. This rare disorder can cause patchy hair loss and associated itching and/or pain. Inflammation around the hair follicle causes damage, scarring, and permanent hair loss in the affected area. Many men and women use chemical treatments on their hair, including dyes, tints, bleaches, straighteners, and permanent waves. 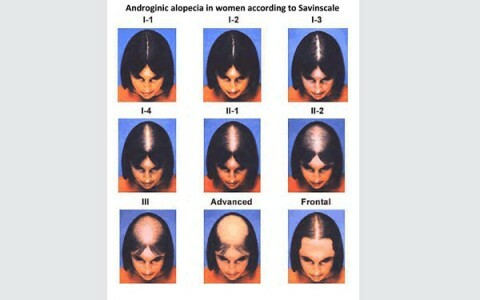 These treatments rarely damage hair if they are done correctly. However, the hair can become weak and break if any of these chemicals are used too often. If hair becomes brittle from chemical treatments, it is best to stop until the hair grows out. It is not only helping to reduce the hair fallout, but also to stimulate a new hair growth and increase the thickness of the hair. This kind of mesotherapy supplies the hair bulb with nutritive minerals.